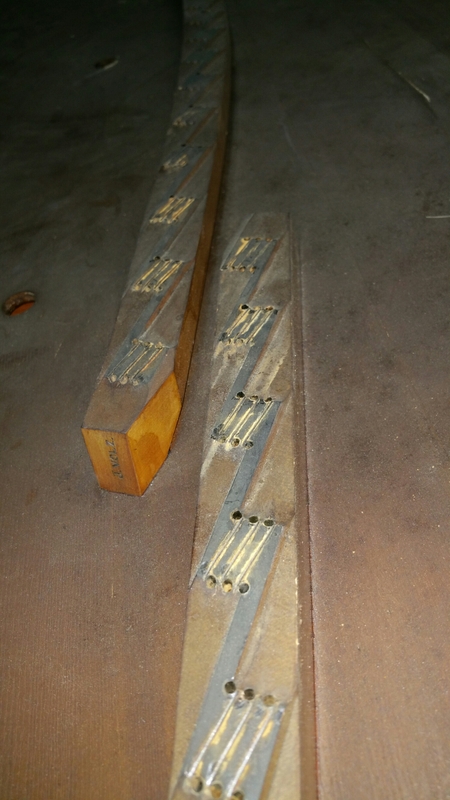 This piano is from a fellow rebuilder. 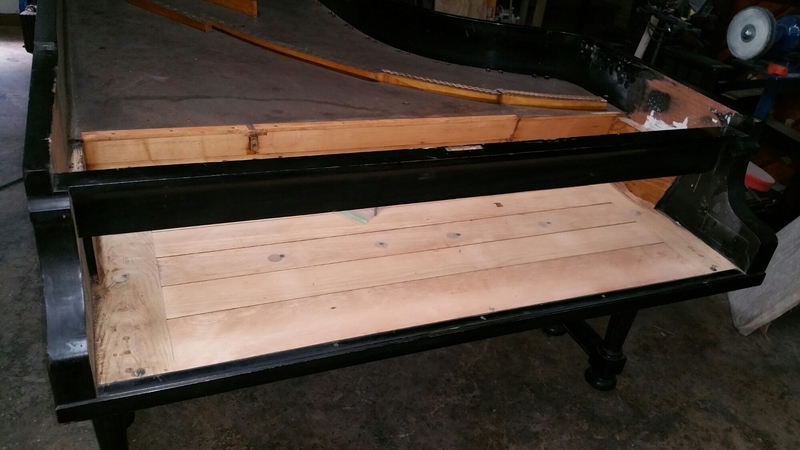 He has disassembled the piano, as you can see, and has it ready for me to begin my magic. 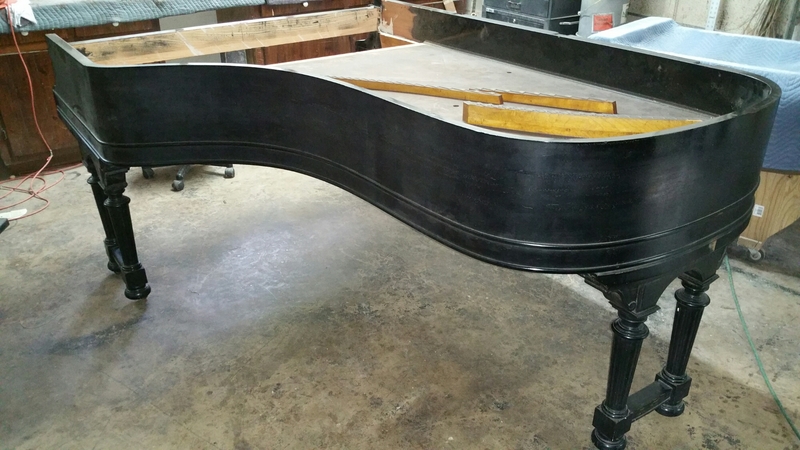 The piano will be going back ebony in a satin luster. 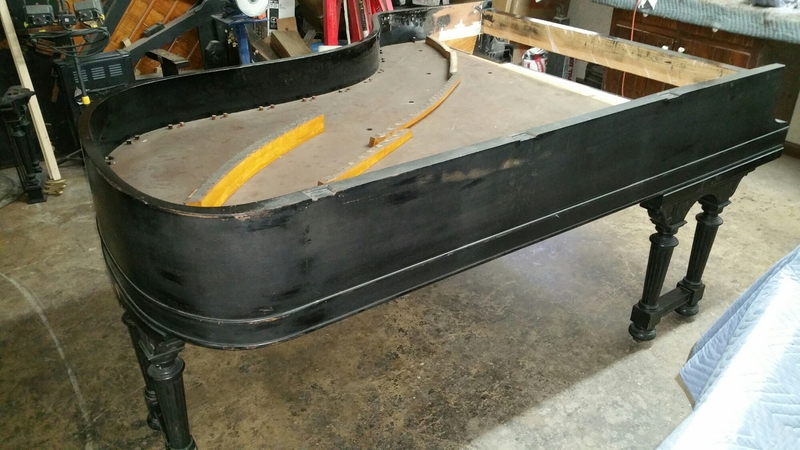 This really is a beautiful piano and I can’t wait to see how it’s going to turn out! 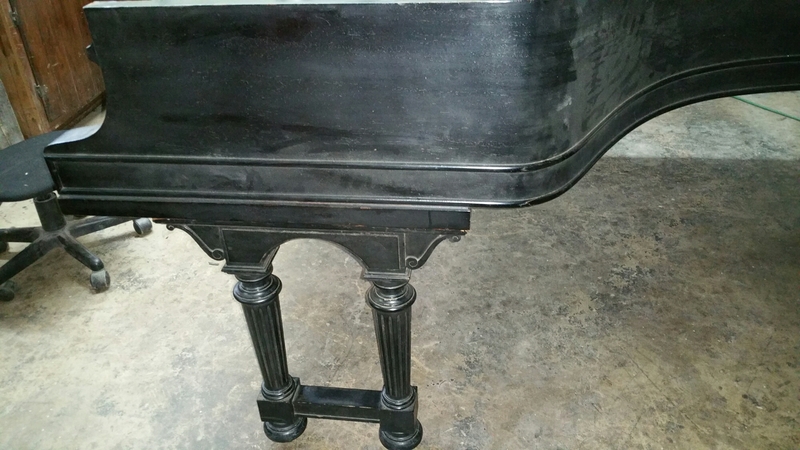 Although I have used polyester on pianos in the past the type paint used in that video is lacquer. I use lacquer almost 100% of the time. As far as the equipment I use for spraying…. I have 2 HVLP sprayers. One sprays heavy which I use for sealers and the other sprays fine which I use for topcoat. I spray primarily on feel and that is around 20-30 psi.